Deck illumination is one important element that most homeowners tend to leave out after they have a deck built. The right type of lighting should ideally be planned for during the initial stages of deck design as they can be incorporated as part of the structure and double handling of materials can be avoided. To make your deck area functional as well as aesthetically pleasing after the sun goes down, the right choice of lighting goes a long way in ensuring that you get the maximum value for your investment. Several lighting options are available that can turn your home extension into a cozy and well used environment. 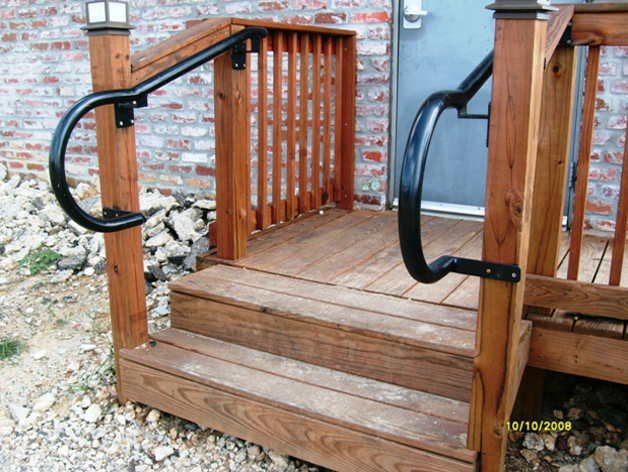 If your deck includes a stairway, it is important to have step lights to make it safer for use at night. Appropriate cut outs can be made on the risers during the steps construction to fit any outdoor lamps. The glow of light coming from the risers is very attractive in the dark and provides a well lit pathway that can prevent slips and falls. Installing post cap lights especially at the top of your stairs is a great choice as they blend in nicely with the structure and looks like part of the deck itself. 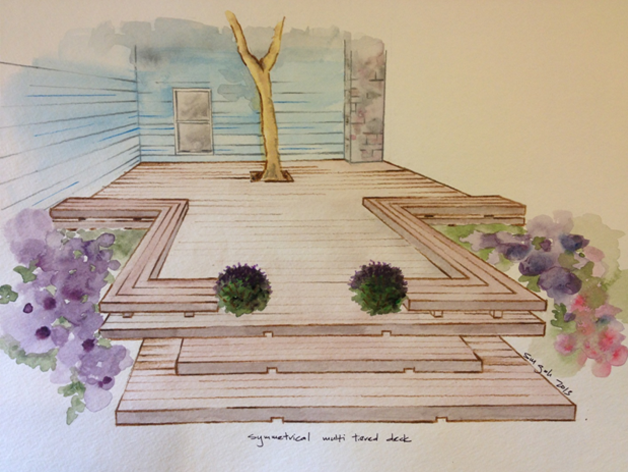 Depending on the size of your deck, budget and personal choice of décor, many styles are available to suit your needs, from the very basic to contemporary or traditional. If you decide to have your railing path lit, rail mounted lights can be decorative and functional as well. You can get creative and have some fun with string lights especially on festive occasions or special events where certain themes can be fashioned. Alternatively, you can also hide these hanging lights underneath the railings so that only the glow is visible and not the lights themselves. These types of lights are necessary as they help to illuminate eating or conversational areas on your deck and also the cleaning and maintenance aspect. They can be installed on the exterior walls of your home or on wider posts on the deck as well as the deck floor itself. Other sources of lighting are landscape lights, paper lanterns and candles in its many creative forms. Used with proper care and thought, it helps to produce a wonderful ambience for nighttime gatherings. When you are shopping for outdoor lighting, consider using low voltage bulbs as they are less expensive but quite dependable as a source of energy. Energy saving options along with accent solar powered lights are always better for the environment and saves you money in the long run. Outdoor LED lights are gaining popularity because they are battery operated and can be easily installed in any location without the use of a power outlet.